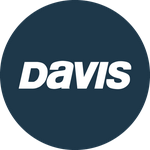 Davis Instruments Support, FAQs and Troubleshooting - How does CarChip work? All Categories ​>​ FAQ ​>​ Vehicle Monitoring ​>​ How does CarChip work? CarChip plugs into the OBD II port, which is found in most 1996 or newer vehicles, to record trip and performance data. The data is then downloaded into your computer, providing a detailed look at how the vehicle was driven. It also detects any OBD II trouble codes which might occur during the trip. CarChip software displays vehicle data in summary, plot or table format and can also be exported to Microsoft Excel.